We are 6 months old and we thought we would share with you, our progress in the form of various graphs and charts. An explanation for each hopefully translates their meaning / significance. We use Google Analytics to supply information about our site and thank them for this extremely useful tool. Welcome is obviously the opening page with News proving very popular. Our main pages are the most visited with the Village Newsletter providing a strong interest and our Music events. I don't know how they establish this statistic but we are achieving our goal of attracting young families with a 25% uptake. 3.) Type of devices ours viewers use. Whilst the majority are desktop / laptop users, the move is towards smart phones (mobiles) and tablets. A design criteria is were possible to give a smart phone friendly display. 4.) Referrals : - Important to get our site seen. We have been busy putting our website address around and getting it noticed with the main search engines. If you search with the basic of information our website comes up. 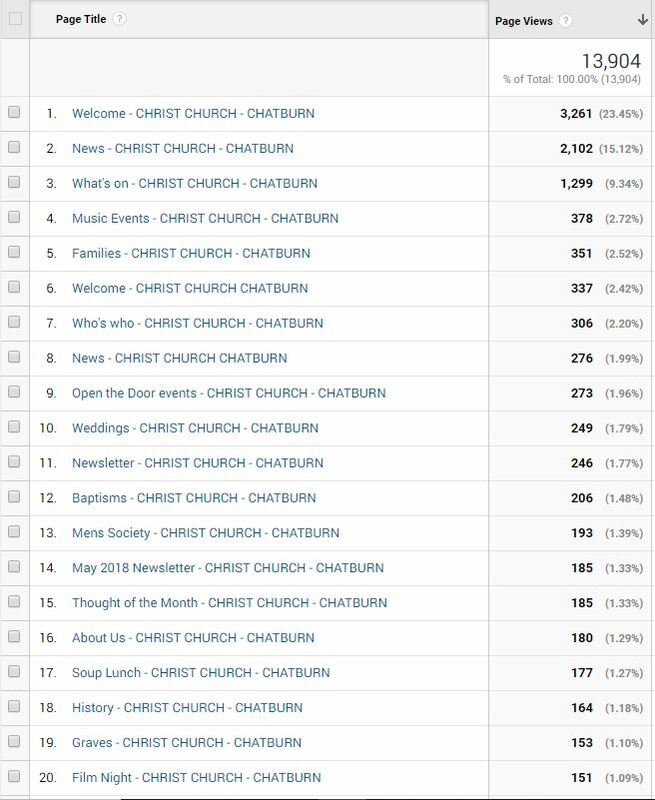 Try "Christ Church Chatburn" and you will get to us but it may be from a referral site such as Google Business, Chatburn Village web site etc. Facebook also provides important links to us. Direct - Typed in address. Organic - Using a search engine such as Google. Referral - Such as our partners having a link to our site. Wow, over this six months period we have seen growth that has exceeded our expectations. We currently have had 1,102 viewers generating 2,609 separate sessions. 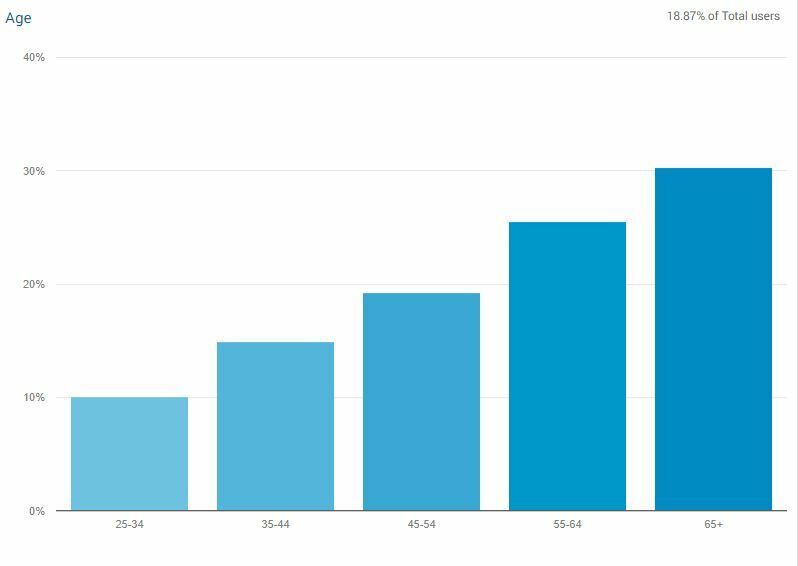 Each viewing 5.33 pages per session and lingering on the pages on average 7.10 minutes. This all culminates in a massive 13,904 page views that gets us seen in the main search engines. 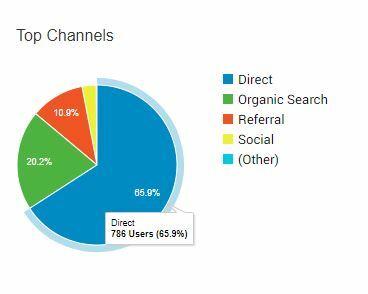 The small pie chart shows that 23% are returning visitors, obviously we want to grow this statistic. 6.) Location - Where do our viewers read our content. 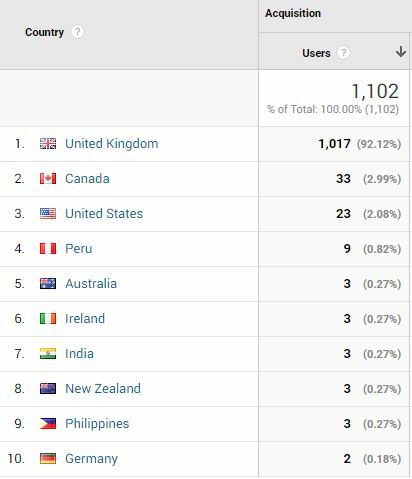 Who views our site and from where. Yes, some could be hackers and some were searching for Christ Church, New Zealand but we also have some anecdotal evidence that friends and family are also keeping in touch. Note all the data is anonymized and individuals cannot be identified. See our privacy statement.